On Tuesday, the Chinese Communist Party Central Committee and State Council released a document designed to guide China’s ethnic policies in 2015 and beyond. The guidelines, titled “Opinions on Strengthening and Improving Ethnic Work in New Situations,” seek to solve the lasting puzzle of how to wholly integrate ethnic minorities into the Chinese state. Topping Beijing’s list is fostering the development of both academics and officials from minority backgrounds. The issue of representation at the official level is especially sensitive as it speaks to the sense of disenfranchisement some ethnic minorities feel. Since the founding of the People’s Republic of China in 1949, there have only been four non-Han officials appointed to the Politburo – and none have ever made it to the elite level of the Politburo Standing Committee. Currently, all members of the 25- member Politburo are of Han ethnicity. Things are a bit better at the local level. The governors of ethnic autonomous areas are increasingly members of the local ethnic group. However, in practice ultimate provincial authority rests with the Party chief – and that position is traditionally reserved for Han officials. For example, the current governor of Tibet, Losang Gyaltsen, is Tibetan, and Xinjiang governor Nur Bekri is Uyghur. Yet the Party secretaries of both Tibet and Xinjiang are Han: Chen Quanguo and Zhang Chunxian, respectively. The State Council document calls for a more concerted effort to train Party officials from minority groups. “Vigorously foster, audaciously select, fully trust and use officials from ethnically-diverse [backgrounds],” Xinhua quoted the document as saying. 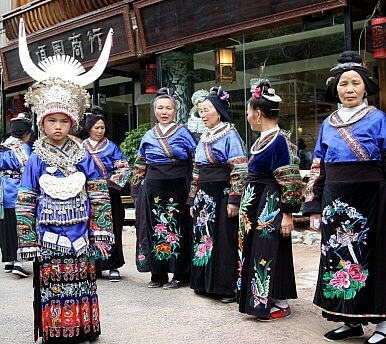 At the same time, though, it continues to call for “experienced Han officials” to help govern “ethnically-diverse regions.” Beijing wants to increase feelings of inclusion and participation among ethnic minorities, but not if it means sacrificing central control. There’s a similar tension at play in the document’s call to promote the “cultivation of intellectuals,” from ethnic minorities. Beijing wants to encourage more high-profile ethnic minority representatives in academia – but only if they are careful to keep close to the Party line. It’s been less than a year, after all, since Uyghur scholar Ilham Tohti was sentenced to life in prison on charges of separatism, largely because of his role in running a blog about Uyghurs. Perhaps most important, then, is Beijing’s promise to pay renewed attention to the implementation of laws providing for regional autonomy – part of China’s general push toward the “rule of law.” China has five provincial-level ethnic autonomous regions: Tibet, Xinjiang, Guangxi, Inner Mongolia, and Ningxia. As Xinhua points out, those areas make up 64 percent of China’s total land area.According to China’s Regional Ethnic Autonomy Law, governance in these regions should display “the state’s full respect for and guarantee of ethnic minorities’ right to administer their internal affairs and its adherence to the principle of equality, unity and common prosperity for all nationalities.” But that legal guarantee has not been faithfully carried out, especially in sensitive areas like Tibet and Xinjiang, where minorities sometimes feel the government is actively infringing upon their cultural practices. The State Council document acknowledged that ethnic policies must “be revised and improved.” That’s fairly standard language, however, and on a broader level there’s been no signs that Xi Jinping is interested in taking a different approach toward ethnic issues than his predecessors. In fact, the Xinhua report concludes with an affirmation of China’s long-standing prescription of choice for ethnic regions: economic development. Beijing will continue to encourage economic growth in minority regions through both favorable financial policies and a heavy emphasis on building up infrastructure.